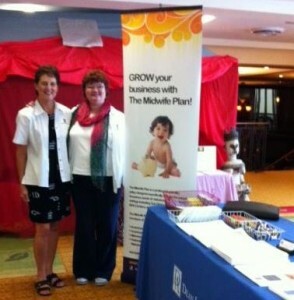 Ann Geisler and Melanie Hart will be attending the upcoming 58th Annual ACNM Meeting from May 29 – June 2, 2013. This year’s meeting will be taking place in Nashville, Tennessee. The 58th Annual ACNM Meeting is a wonderful opportunity for midwives, students, and other women’s healthcare providers to polish professional skills, learn the latest evidence-based research, share knowledge and experiences, and celebrate the work that midwives are doing to advance maternity and women’s healthcare. Ann Geisler and Melanie Hart feel so honored to be a part of the ACNM organization. If you plan to attend the 58th Annual ACNM Meeting, please stop by The Midwife Plan booth in the exhibit hall for a complimentary gift. Ann and Melanie look forward to making new connections, and networking with other professionals from around the country. If you have any questions about the upcoming event, Ann Geisler is happy to help. You can email her at ageisler@southerncrossins.com or call her at (888) 985 – 3542.